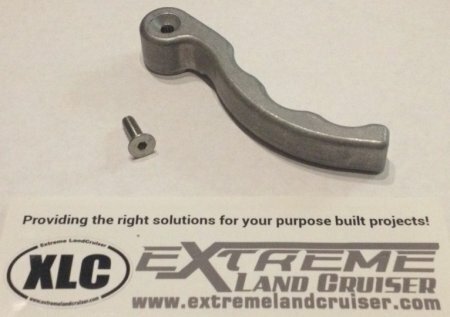 Have you ever wanted to replace the cheap factory lever handle on your Toyota tailgate? The answer is now here and available to order right now! Please contact us concerning production schedules as these are produced in batches of 20 pieces. Made from a block of CNC machined solid billet aluminum and tumbled for a smooth finish. Splines precision broached and fully user adjustable (not keyed) so you can adjust where you want it. Free shipping in Lower 48 USA states, other areas additional (please ask for shipping quote).